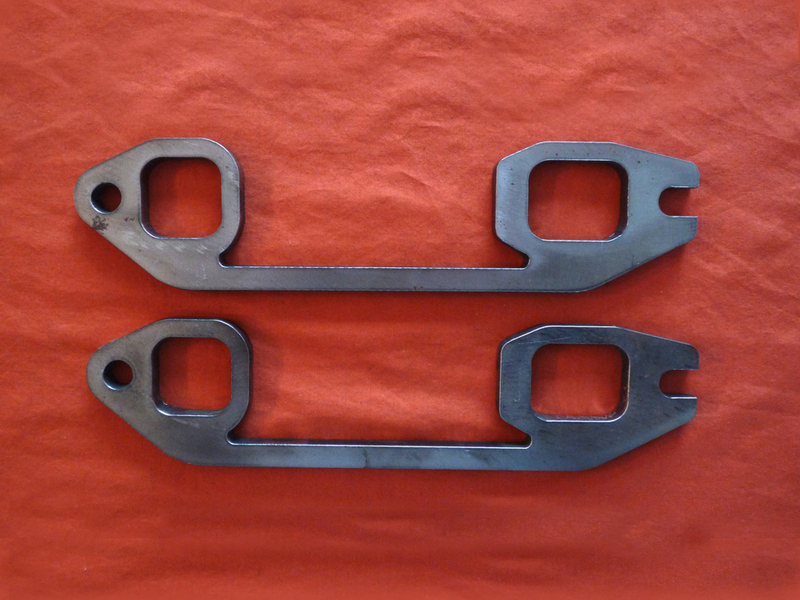 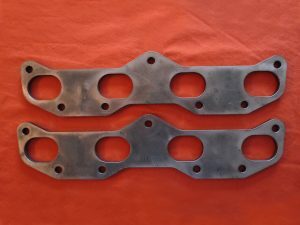 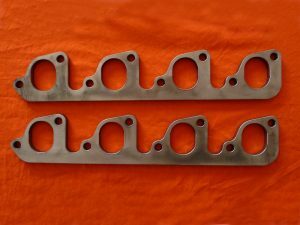 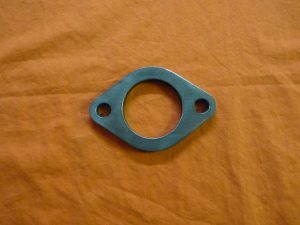 Includes one pair of exhaust flanges for the Chevrolet 6 cylinder 216, 235, 261 hot rod motor (see motor applications below). These flanges are cut with a CNC HD (High Definition) Plasma cutter out of 3/8” Pickled and Oiled (P&O) steel. 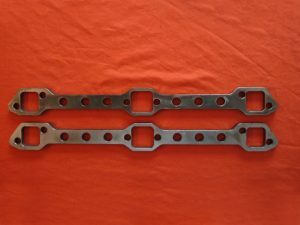 P&O material is hot rolled steel that has been dipped in acid to remove the mill scale and then lightly coated with oil. 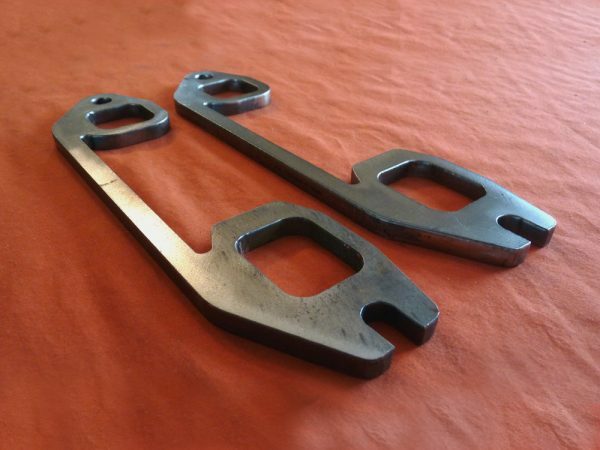 The end result is less work to clean off the mill scale as needed with hot rolled mild steel.